Have pets and need carpet repair? You love your animals and their unique personalities. But you probably don’t love the way they can tear at your carpet or use it as a makeshift potty pad. After the damage is done, how can you get your carpets back to normal? The edges may be frayed, and if you have a bigger dog, your carpet may even need to be stretched from all that running around. And the smell and stains seem like they’re recurring indefinitely, even after deep cleaning. If this sounds all too familiar, call up Magic Touch Touch Carpet Repair when you have carpet pet damage in Scottsdale. We’ll do whatever it takes to restore your carpets back to normal! Are your animals the true homeowners? If you have an excitable or hard-to-train pet, it might seem like they’re really the ones that run the house. But when they make messes, they can be very hard to clean up after. That’s where we come in. Avid animals acting adversely? Even if your carpet needs restretching, we can handle it! Crazy cat clawing chaotically? Our patch jobs will make it look like they never happened! Flying fowl frazzling flooring? We can do seam repair to put your carpet back together! Pampered pooch pestering pitilessly? Whether number one or two, we’ll remove the stains! While animals can do all kinds of damage to your carpet, especially at transition points, perhaps the most common issue is getting the smells and urine stains out of the floor. Urine from many kinds of pets have chemicals that are meant to show territory for long periods of time. Because of this, fighting against nature can be quite a challenge. Our special pet carpet cleaners make use of enzymes designed specifically to combat urine stains. These cleaners penetrate all the way down to the pad of your carpet to fight stubborn stains and odors at the source. 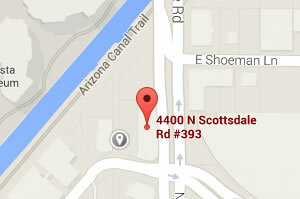 With over a decade providing quality cleaning services to Scottsdale, we know how to get the job done right. We’re locally-owned and operated, and treat our customers fair with upfront prices and no hidden fees. When we’re through with your carpets, it’ll be so clean, you’ll think it’s magic! So give us a call or contact us to set up your free estimate today!